What Are We Supposed to Call Mixed Catsup and Mustard? 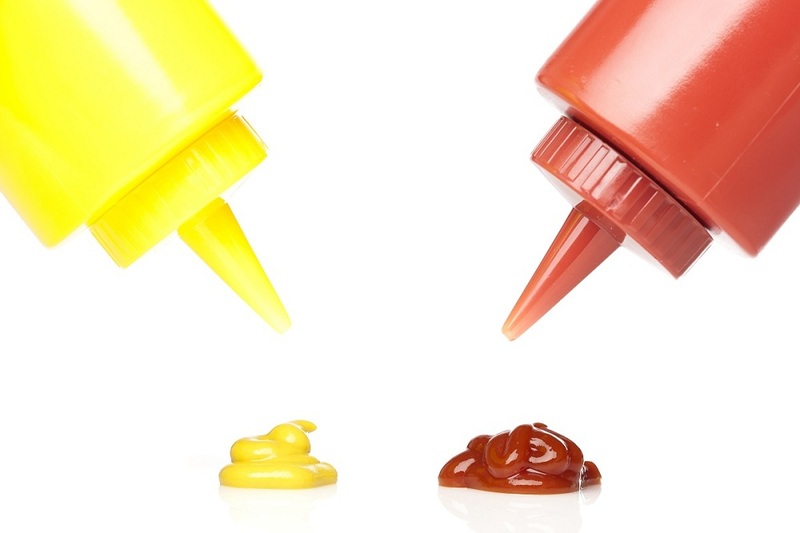 Attention catsup and mustard lovers: we need to talk. It has recently come to my attention that, last year, Heinz released a new product called “Mayochup” saucy sauce. I might have seen a picture of it around the time of its release, but, as many probably reacted the same way, I just shook it off as another internet prank. After all, the internet brought us a lot of fake packaging memes, like Lady Doritos or Ben & Jerry’s toothpaste and OJ-flavored ice cream. But, no, apparently mayochup is a real thing and it’s here to stay. Don’t believe me? I can understand the doubt. So, here’s an Amazon page to show you that it’s legit. You know what annoys me so much about this? The fact that there’s already a name for a blend of tomato ketchup and mayonnaise, and it’s got a lot of names around the world: fry sauce in the US, salsa golf (gold sauce) in South America, sauce cocktail in France and Iceland, and Rot Weiss in Germany. We. Don’t. Need. ~*MaYoChUp,*~ —or whatever that is. 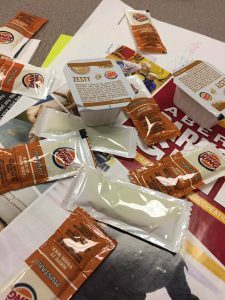 What’s even more frustrating that while fry sauce is here with its many names, we’re all overlooking a delicious condiment blend that has yet to be given a single name: catsup and mustard. There’s no denying how well these two work together. You’ll find this blend in some of your McDonald’s or Burger King favorites. If you’re strapped for cash but want a good snack, whether you’re at a game looking for a ballpark snack or making your way to a 7-11, adding ketchup and mustard to a hotdog sandwich makes all the difference between your ordinary meat and bread combination and a mouthful of flavor. Order: 1 veg burger, onion rings. Me: Ketchup and mustard please? Ketchup, with its sweet and salty flavor, combined with mustard, with a mild sour kick, is a popular combination. You’ll find it in your sandwiches, burgers, and even in dips and dressings. Not to rain down on ~*MaYoChUp’s*~ parade, but apart from being a side to fries and your occasional sandwich when mustard is unavailable, but where else can you use this combination? We need to give justice to this condiment blend and give it a name. But what? Metchup? Mustup? Ketchard? ThesecretsaucefromMcDonald’s? Tomard? Out of all these, Ketchard sounds the best, so I’m backing this one up until someone comes up with a better idea. Or, you know, if Heinz decides to come up with a new mixed catsup and mustard condiment blend and puts it on the market. Would You Buy a Bottle of Ketchard? I Would. Mayochup is just a bottle of ketchup, mayonnaise, and other spices. It’s basically a product for those who want fry sauce but are too lazy to mix two ingredients together. And if that proved to be a hit for people, what’s to say that the same won’t happen to a nice bottle of Ketchard providing us with our daily dose of mixed catsup and mustard? I’d buy that. Wouldn’t you? Imagine getting a hand on some mustard and ketchup mix – ketchard, rather. Think of all the possibilities you can do now that you don’t have to go into the effort of mixing these two together. The next time you get a hotdog, instead of having to try to get a perfect balance of both catsup and mustard (and trying not to overload your buns with too much condiment, all you need is one bottle. And you get two flavors combined into one easy, convenient blend. If you need to make a dip, simply get a bottle and pour it into a small container. 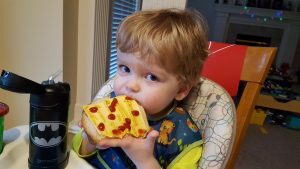 Making a sandwich? Don’t worry about soggy bread because we provide two flavors in one. And if ketchup and mustard tastes good, imagine adding more spices to enhance both flavors at the same time? So, in conclusion, I request Heinz tap into this potential and have the honor of creating and naming the very first ketchup and mustard mix in the market. And you are very welcome to take the name ketchard unless you come up with something else.